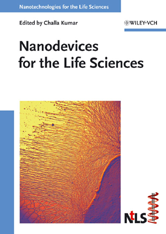 This volume combines both nanodevice assembly from biomaterials as well as nanodevices of non-biological materials for use in the life sciences, showing how both kinds can be used in the context of nanoscale research. As such, it covers the important material classes for device assembly -- fullerenes, carbon nanotubes, kinesine microtubules -- as well as a wide range of applications, including sensory systems, analytics, bioelectronics, drug delivery, and bioNEMS. The result is a systematic coverage of all stages of research and development: physics and fundamentals, modeling, device fabrication strategies, material aspects, and applications.